Marketplaces and prices shown matched UPC number 795418801843 during our search. MUCHO GRANDE Our Giant Sombrero Hat is like a regular sombrero on steroids. Our wide brim straw Mexican hat will fit even the biggest noggin. 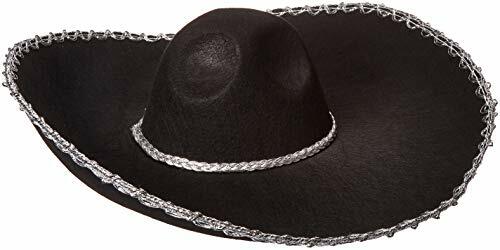 Each sombrero has a 7 inch front brim, 6 inch side brims, and measures approximately 6 inches tall. Talk about a crazy hat for crazy hat day. COSTUME ACCESSORY Add our big sombrero to your Mexican theme party supplies. 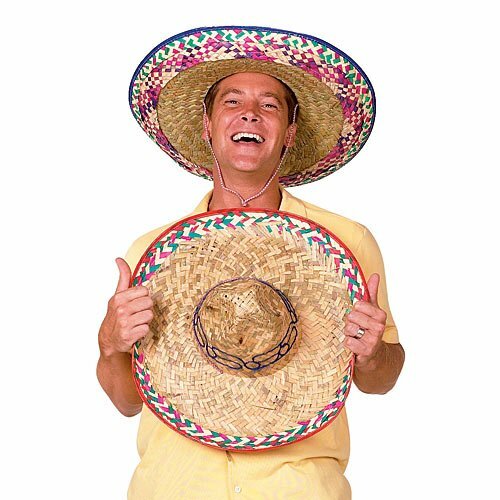 Our giant sombrero hat is perfect for a Mexican costume party, Cinco de mayo and Day of the Dead fiestas. 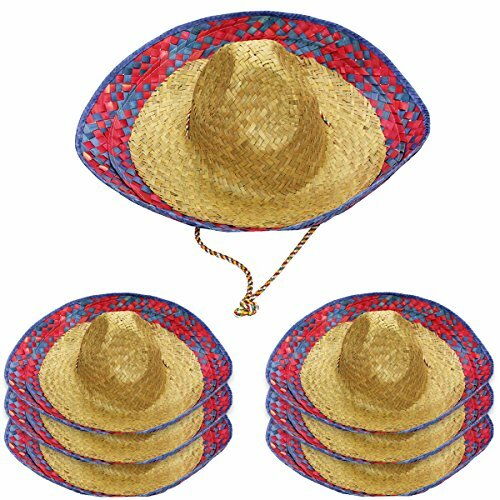 FIESTA DECORATIONS Our sombreros are more than Mexican party supplies. If you love Mexican style decorations in your home, this big Mexican hat will add a nice south of border decor to your casa. BASED IN THE USA We're proud to be a US based, family owned company that's been in business since 1983. Our passion is to always provide you with the best selection of unique gifts and novelties on the market. INCLUDED: 1 Authentic Mexican Sombrero. Talk about mucho grande. Our Giant Sombrero is like the Incredible Hulk of Sombreros. It's big enough to protect you and your neighbors from the hot sun. Heck, you could probably use it as a parachute. We're kidding, please don't do that. 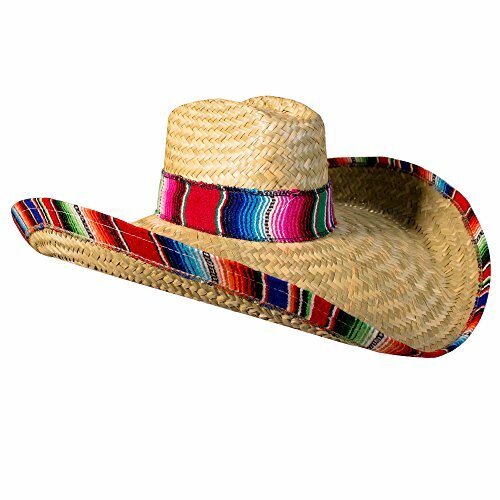 Imported from Mexico, this sombrero is 100% authentic and is perfect for channeling the spirit of Mexico. Constructed of straw, this wide-brimmed festival hat measures 6 inches wide and 6 inches tall; its high pointed crown and extra wide brim (measuring 7 inches) provide broad coverage, casting a shadow over the wearer's head, neck, and shoulders to shield yourself from the sun on a hot summer day. Perfect for Cinco de Mayo or any festive south of the border celebration.